Disclaimer: The Lime Ears Model X Universal sent to us is a sample in exchange for our honest opinion. We thank the team at Lime Ears for giving us this opportunity. 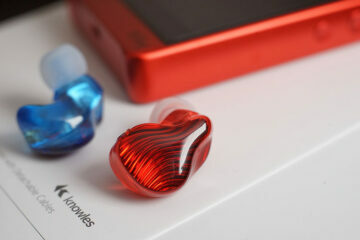 To read more about Lime Ears products reviewed on Headfonics click here. We reviewed the Model X back in Nov 2017 and felt it to be a competitive multi-BA custom monitor with two excellent sound signatures courtesy of a front plate switch. The first, a “loud and proud” bass elevation following the Fletcher-Munson curve and the second, a more neutral and dare I say it, audiophile tuning. At €890 upwards for a 4-driver, this was a competitive monitor and showed how the old driver count wars were becoming a fading memory in the quest for great performances. 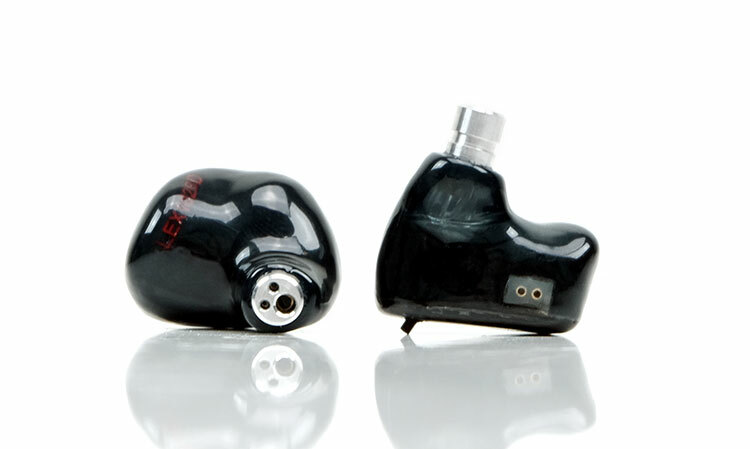 Now, in 2019, Lime Ears have decided to release their first ever universal IEM and yup, it is the Model X. This means those who wanted the sound but had neither the patience or ability to get a custom version can now buy it right away for the same base price. Sweet! But is the universal version a different experience to the original custom monitor? Let’s find out. The pitch of the universal Model X is quite simple. Get the same tech and bass switch goodness of the custom version but in a universal format. This means you can go to their website and buy it right away without having to send in ear impressions and wait a few weeks for your custom monitor to be made. This will satisfy those on a tighter budget, perhaps slightly impatient or audiophiles who like to upgrade at a later stage and may need to sell it easily. The price is still €890 which is the same base price as the Custom Model X but you get faster delivery and none of the associated costs of making and shipping those ear impressions to Lime Ears. Because the universal version will use tips there will also be an additional lateral tweak of the sound signature depending on the tips you will use whereas the custom version you get no additional tweaks. The concept of a switchable sound is nothing new to me in my reviewing capacity. The likes of M-Fidelity, Lear, and Vision Ears have all rolled out switch boxes of varying complexity. The effect of the tuning varies a lot though from company to company. I wasn’t a huge fan of the Cypher Labs Austru bass switch back in our review in early 2017. It felt too subtle to capture my attention unless I had the perfect setup. The M-Fidelity SA-43 dual switch system from our 2015 review was, and still is, fantastic with its mids-presence and bass mixing flavors. You can hear a difference on that one. Lime Ears pitch their switching system a little differently. Their switching system does indeed target the low-end as its priority but in doing so they observe what is called the Fletcher-Munson Law (FML) in how to apply it. 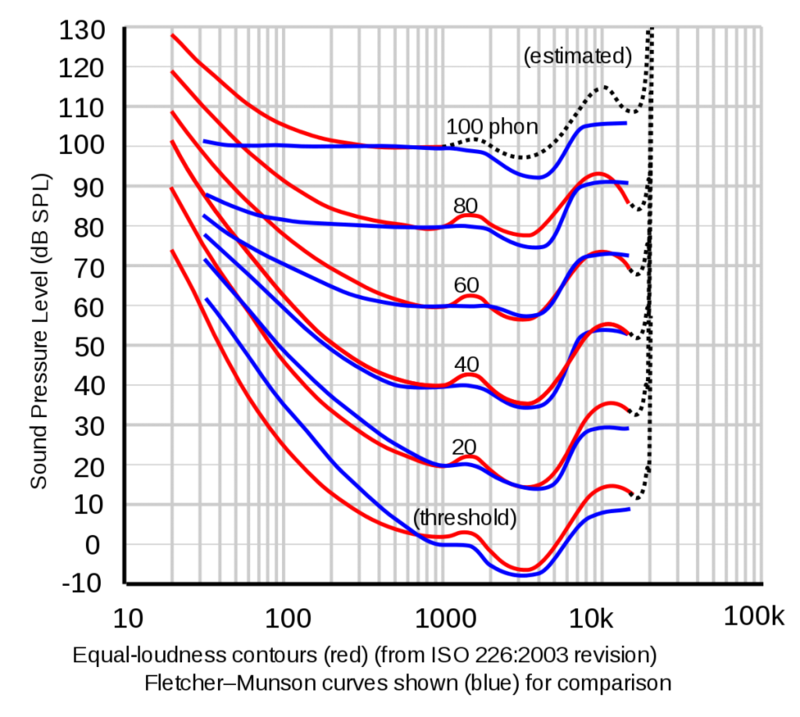 Crudely speaking, this is a refinement of how loud one frequency is compared to another in mathematical terms so that the listener perceives the sound to be balanced rather than skewed to one frequency being louder than another. The Model X switching system focuses on shaping the low-end response in accordance with the FML. In their Model X notes, they state specifically the sub-bass to lower midrange approx. (everything lower than 800Hz) by up to 8dB. In doing so, the Model X is pitched as having a flexible but balanced sound to either ramp up the low-end response or further refine the mid-to-high focus depending on your preferences. As with the custom version you also get the VariBore Technology on the new universal edition. This is a variable bore sizing design within the Model X that grouping of the frequency delivery. Each bore has a different width, so you have 1mm for the low end, 2mm for the mid and high end. Different bore sizing will affect the type of signal produced with larger openings lowering the level of resonance and tighter openings enhancing the low-end presence. The big pitch with the original custom Model X was to offer something powerful sounding and at the same time retain an excellent focus on clarity and control. Part of that vision included the introduction of PAR (Passive Acoustic Resonator) technology. Lime Ears have logically retained this technology for the universal version. PAR is the process by which Lime Ears shape and tune their sound bores to ensure that the resulting audio response from the drivers is as “correct” as possible. Reflections and resonance control is at the heart of design in much the same way acoustical treatment of a room controls how sound bounces and reflects. Call it a legacy of Lime Ears acoustic engineering background. 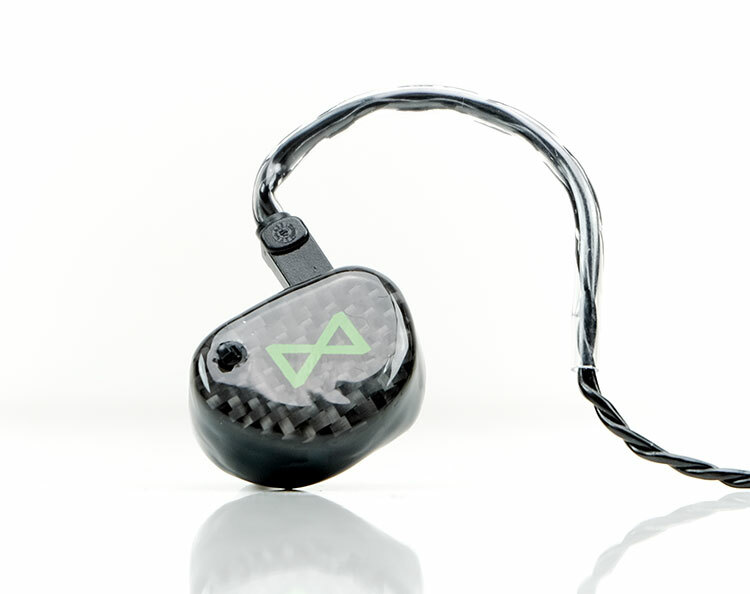 The universal edition Model X comes in a single dark smoke shell finish, real carbon fiber faceplates with a nice shimmer and a typical twist of lime coloring, something which is at the heart of all Lime Ears branding. The nozzle is an aircraft grade aluminum alloy. The exact grade is 2017A Aluminum which is infused with copper. The bass switch is in the same position as the custom towards the bottom just directly over the drop into the nozzle. The positioning is ideal for easy manipulation (up or down) when the Model X shells are in your ear. You will not have to fiddle with the switch before sliding them in and they make a nice satisfying click to let you know they are in position properly. 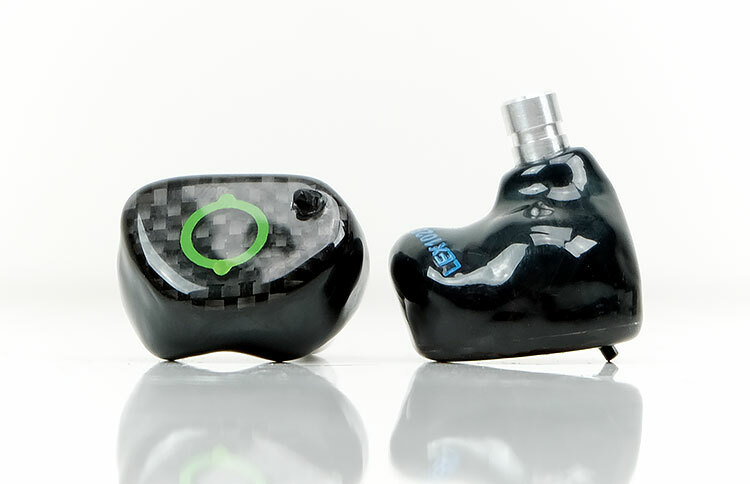 The universal shell form factor, of course, won’t match the custom for exact fitting but Lime Ears have deployed what we call a “custom universal” shaping which has become quite popular these days among IEM companies. A custom universal fitting takes most of the key contours of a custom shell and produces a level of contouring in key areas that, ideally, should fit most ears in a very comfortable manner. You see it on the likes of iBasso and Jomo Audio monitor designs, to name but a few. Features such as a dipped rear shell contour near the nozzle and more bulbous edge to the rear are designed to curve around your ears helix crus ridge and concha basin. 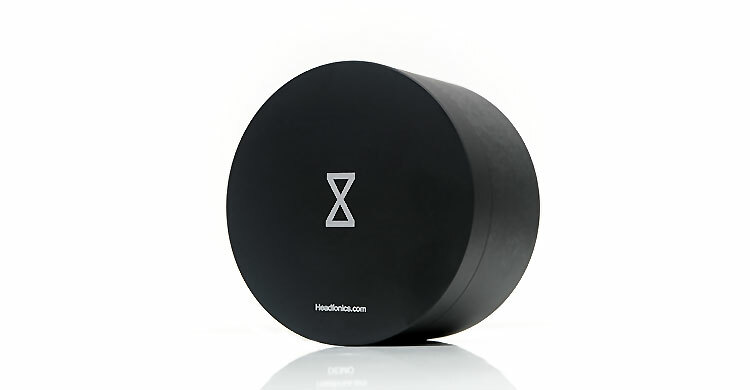 This means less pressure, a better fit and comfier listening experience. The Model X is fitted with a 0.78mm 2-pin flush socket designed and positioned to guide the accompanying cable over your ear as opposed to being worn straight down. Lime Ears do not offer an MMCX alternative, at least not at this point. The stock cable is meh. It is a generic 1.2m 4-core OFC copper cable from Plastics One. On the plus side its lightweight, pliant and tangle free with a really low level of physical noise on the wire. On the con side, it is compressed sounding with high resistance and tends to dull the level of dynamic range and micro-detail compared to better-made cables. The cable is fitted with a sizeable but bulky memory wire on the connector side that is memory retentive to allow you to shape it around your ear. The jack is a right-angled gold-plated 3.5 jack and fairly low-profile so it will not create any awkward fits on DAPs or phones. The Y-split is a very strong rubber encasing. Say what you want about the cable’s sonic performance but it is very sturdy and durable so it should last the distance. As you would expect with a “custom universal” design the fit is excellent with almost no awkward pressure points at all on my outer ear from the Model X when inserted. The tips choice will affect how far you can insert it. With my own fitting, I found the Symbio and foam tips to push it out a little more than the silicone tips due to their more rigid design. The top part of the Model X tends to sit flusher to the ear also and the more bulbous lower half further out so it is more of an angle dictated by the tips and nozzle insertion depth. Sizes are not universal, with the SpinFits coming in xs/s/m/l, and both Comply tips in medium. Personally, I would like to see a smaller set of foams for a bit more choice but other than that they cover all the bases. 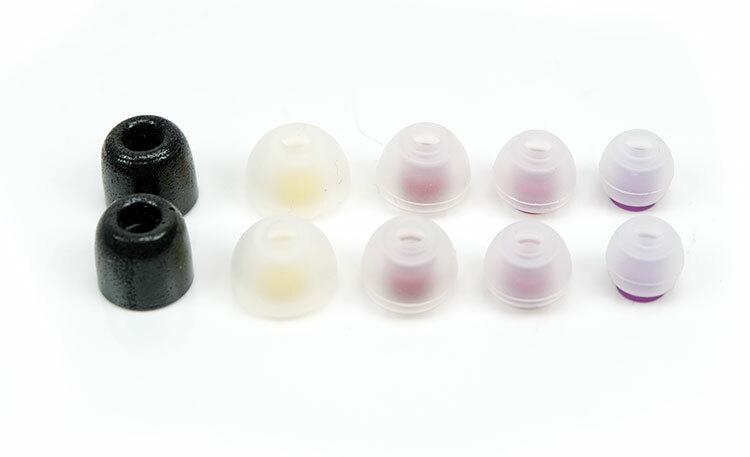 The level of the seal and passive background isolation for both the foams and Symbio tips are excellent. The performance is a lot closer to custom monitor performance than you might assume. Of course, not like for like but very satisfactory with perhaps the foam tips edging it for overall seal and comfort. The most comfortable are the SpinFits and the seal is actually very good also so you are not giving up a huge amount of isolation if you decide to use silicone over hybrid/foams. The relatively deep insertion level of the tri-bore aluminum nozzle on the Model X would seem to greatly assist in offering above-average levels of isolation with the included tips. I am not 100% sure if I have the complete packaging for the universal Model X as mine is a demo sample. However, I can tell you the supplied aluminum pill box is one of the biggest and strongest carry cases I have encountered. These designs are nothing new with UM and AAW among a wide range of companies who use them in their products. 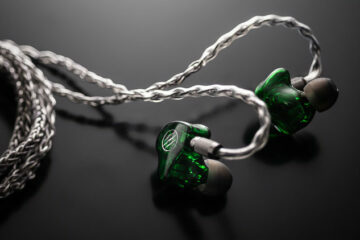 However, they can often be a little restrictive in their sizing with just enough room for the IEMs and a cable. The only things missing I would like to see is a cleaning tools/pic for the bores, a silica bag and an additional set of foam tips. The lip on the nozzle is quite low on the nozzle and I found myself pushing up the foam a lot when getting them off. The possibility of a rip may occur if you are not careful hence an additional set would be good.